The Birmingham Anglers Association (BAA) is one of the oldest and largest clubs in the UK. The BAA enters the 21st. century, the third in which it has existed, with a spirit of optimism for the future of the sport in the knowledge that angling is still the single most popular pastime despite the pressures from other activities. The last survey carried out by the N.R.A., precedecessor of the Environment Agency, showed that over three million people , in England and Wales went fishing during the previous two years and this figure did not include sea anglers. The value to the country of the fishing industry is estimated at £5 billion, a fact acknowledged by the Labour party in their "Charter for Angling" document published prior to the last election.The fishing tackle industry alone employs over 12,000 people in the manufacture, distribution and sale of tackle, with countless more jobs dependent on the sport through tourism, administration, journalism, commerical fisheries and ancillary activities. Not to mention the 400 or so in the Environment Agency whose jobs depend solely on the income from angling licences. How different it must have been on June 7th 1883 when a small group of representatives from the local fishing clubs met at "The Old Green Man" pub in Lancaster St. Birmingham to discuss setting up a society of angling clubs to lobby the railway companies for reduced train fares for anglers at weekends. So came into being "The Birmingham and District Amalgamated Angling Association" later to be known simply as: The Birmingham Anglers Association. From those humble beginnings rose an organisation which has been at the forefront of angling for over a hundred years. 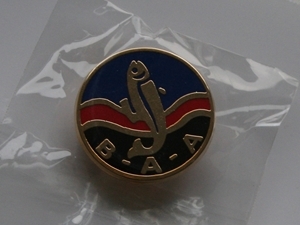 At it's peak in the mid '70's the BAA could boast a membership of nearly 70,000 anglers with 1,200 affiliated clubs, figures which led to the claim of being, "the biggest angling association in the world." To-day we are rather more modest about our claims and even if we are no longer the largest, we still claim to be "the best". The first elected President was Mr. Thomas Coles of 'The Bird in Hand' club and he held the post for 25 years until 1908. He was succeeded by arguably our most famous and influential President Mr.T.A (Alf) Waterhouse O.B.E. who remained in post for the next 37 years ! Amongst his many achievements Alf Waterhouse will be remembered for his pioneering work on netting and restocking many local rivers and canals. He was also influential in the early years of the N.F.A. for whom he was secretary from 1913 to 1921 and President from1932 to 1956. During the 126 years in which the BAA has existed we have had only eight Presidents including such illustrious names as: Albert Harding, Bill Ward, Fred Jennings, Jim Boleyn, Reg Stokes and the present incumbant Ian Rees.